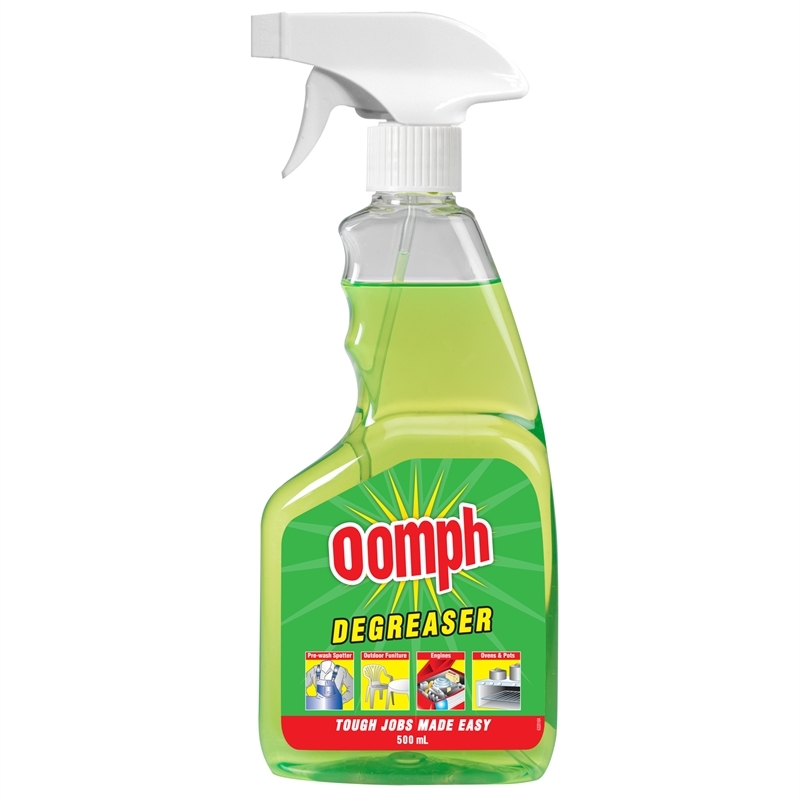 The Oomph All Purpose Degreaser is designed to power through tough jobs around the home. 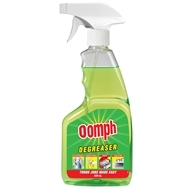 Use Oomph Degreaser on surfaces in and around your home to professionally clean where that extra 'Oomph' is needed. spray on surface to be cleaned and simply wipe off with clean damp cloth. 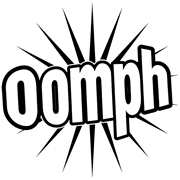 For heavily soiled area spray on leaving for 2-5 minutes before wiping away. DO NOT SWALLOW. AVOID CONTACT WITH EYES AND SKIN.